When fall is in full swing, oxblood lips are easily the hottest trend of the season. There’s something irresistibly charming about dark-hued lipsticks, and oxblood is one such shade that looks fabulous on every woman. You are not just making a statement with this style staple but also bringing out the diva in you. Want to know which ones to look out for? We’ve rounded up the 12 must-try oxblood lipsticks to give you that gorgeous vampy pout. Oxblood is a dark shade of red. It resembles burgundy, tinged with dark brown and purple undertones. You get the picture, right? 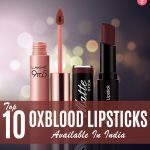 Here’s your all-inclusive list of the best oxblood lipsticks available in India. 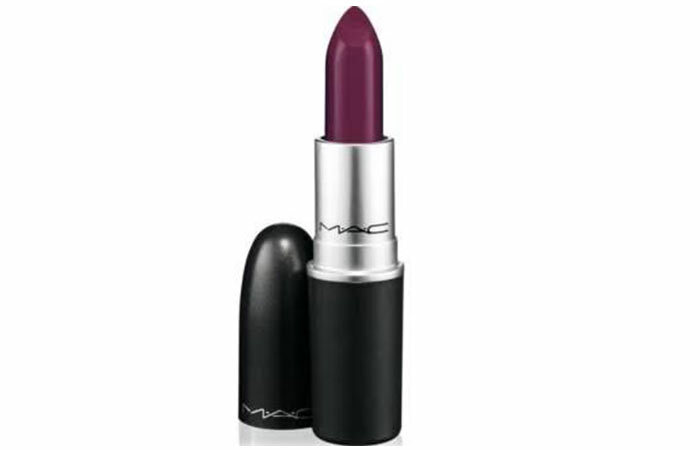 Our top favorite oxblood lipstick is the iconic shade ‘Rebel’ by M.A.C. It is a deep berry shade with a tinge of purple. Its satin finish formula glides on smoothly and is extremely pigmented. It is neither too glossy nor too matte – it lies somewhere in the middle. The lasting power of this MAC oxblood lipstick is incredible, and it requires minimal touch-ups. This shade is universally flattering and is bound to brighten up your face and outfit instantly. We totally get why this lipstick is a cult-classic! ‘True Oxblood’ is a burgundy red matte lip color perfect for the bold goddess in you. 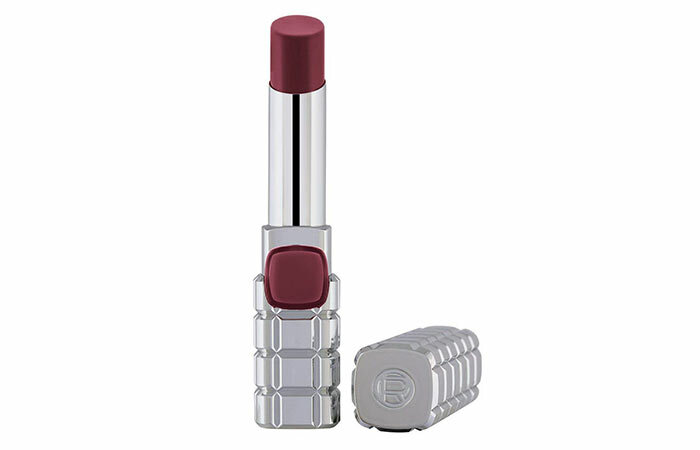 Even though this is a matte finish lipstick, it is quite creamy and moisturizing and gives you the benefit of complete comfort. It is enriched with micronized pigments and silica microbeads that give your lips a flawless finish. If you’re looking for a pocket-friendly lip color that does not compromise on quality, you need to give this oxblood red lipstick a shot. Maybelline never fails to surprise us with its innovative and budget-friendly beauty products. The shade ‘Burgundy Blush’ from its Color Sensational range is a gorgeous deep wine shade with maroon undertones. It is a great dupe for Anastasia Beverly Hills’ ‘Heathers.’ It is very comfortable to wear and is non-sticky. One swipe of this oxblood matte lipstick is all you need for a seamless, opaque finish. We highly recommend adding this shade to your lipstick collection. Faces has come up with a new range of pigmented lipsticks that are enriched with the goodness of vitamin E. This one in the shade ‘Oxblood’ feels oh-so-good on the lips with its satiny finish. One stroke gives you a luxurious color payoff that lasts all day long. The shade is a deep plum with hints of brick, making it the perfect oxblood shade for every skin tone. 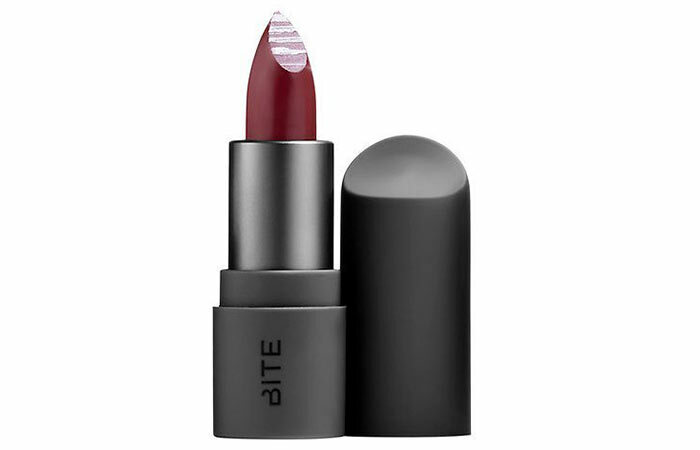 ‘Liquorice’ by Bite Beauty is a rich, medium-dark burgundy shade with warm undertones and a very natural finish. Its lightweight consistency is so impressive that you will want to go back to this lipstick over and over again. The formula is long-lasting and will stay in place for up to six hours without drying out your lips. You will need to use a lip liner to achieve a crisp edge since it’s difficult to do so straight from the tube. Definitely give this shade a try if you’re looking for a deep red lip color. 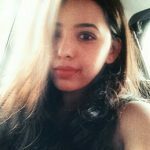 L’Oreal’s Color Riche range is worth a mention owing to how luxurious its formula feels on your lips. The shade ‘Burgundy Craze’ is a deep wine color that looks beautiful on every complexion. Its metallic packaging looks and feels high-end. Texture wise, this is a holy grail lip color if you struggle with dry lips. The high-gloss shine lasts all day while leaving your lips feeling soft and supple. 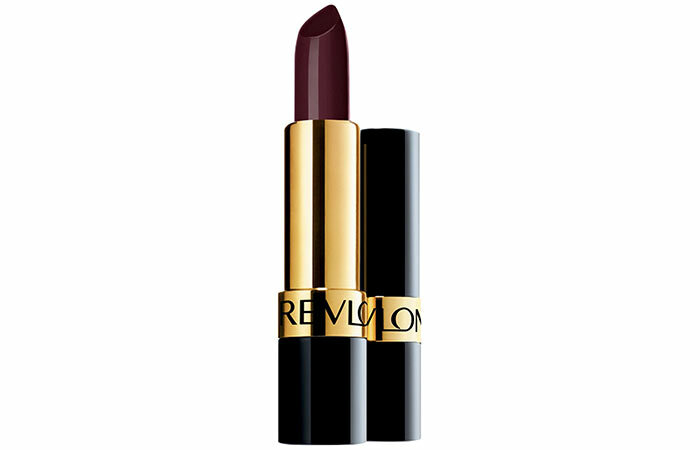 ‘Black Cherry’ by Revlon is, hands down, the most gorgeous maroon-red out there. Its formula is infused with mega-moisturizers that seal in both color and softness. 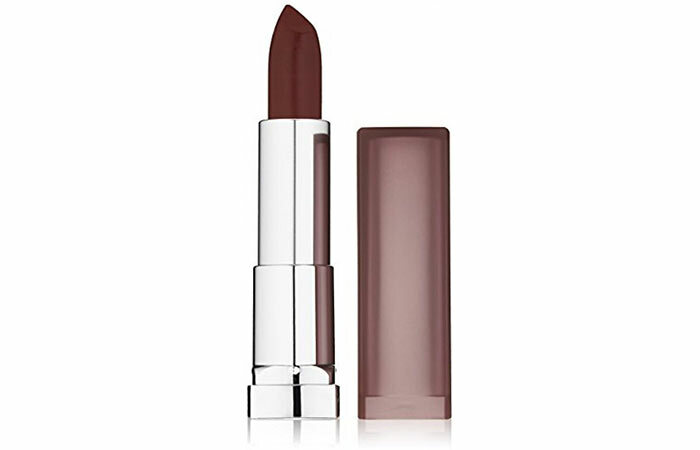 If you prefer a creamy, lustrous finish, you will love this lipstick. It stays put for about four hours with a few touch-ups here and there. For the cold, gloomy winters, this shade and its formula is something that you absolutely need to try! If you don’t use a lip liner with this lipstick, it tends to bleed and get messy. 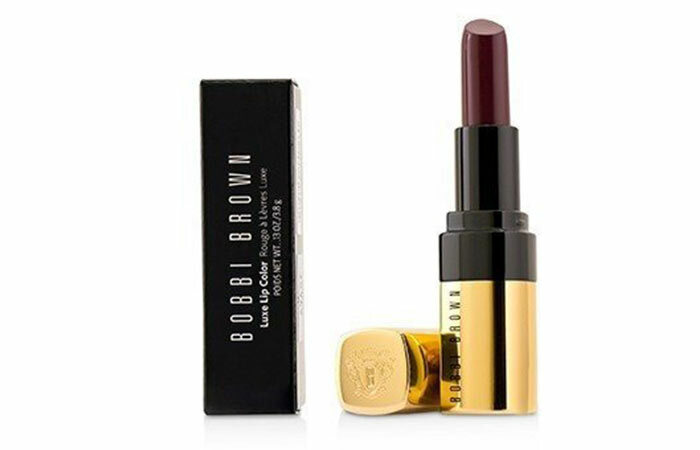 If you feel like splurging, Bobbi Brown’s Luxe Lip Color is totally worth the spend. The shade ‘Plum Brandy’ is an intense berry shade. The color is buildable, and the payoff depends on how many swipes you go in with. Here’s the best part – its unique texture is super satiny with just the right amount of sheen. It also feels oh-so-comfortable to wear! 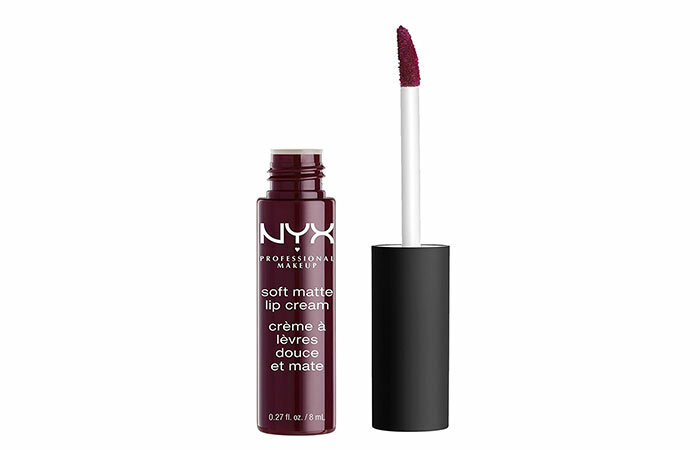 This cult-favorite lip cream from NYX is heaven in a tube. ‘Copenhagen’ is the perfect vampy shade that suits every skin tone. 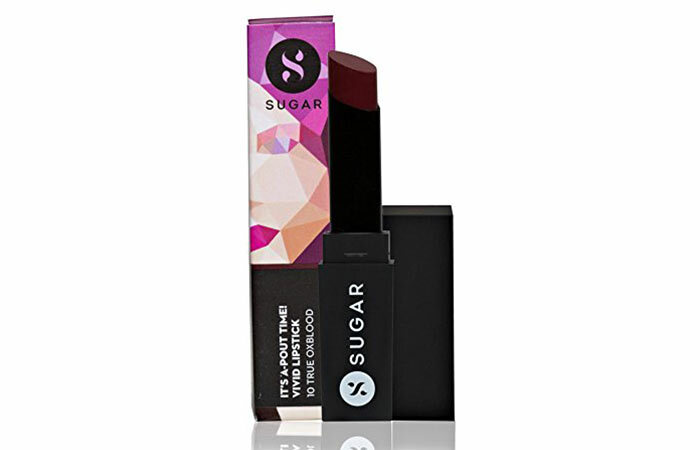 The formula glides onto your lips smoothly with a brilliant color payoff. If you are low maintenance and can’t stand anything heavy on your lips or skin, this lip cream is made for you. Its matte effect is neither too drying nor too moisturizing. We also love how it smells sweet like a batch of freshly baked cupcakes! It takes practice to get the application right. 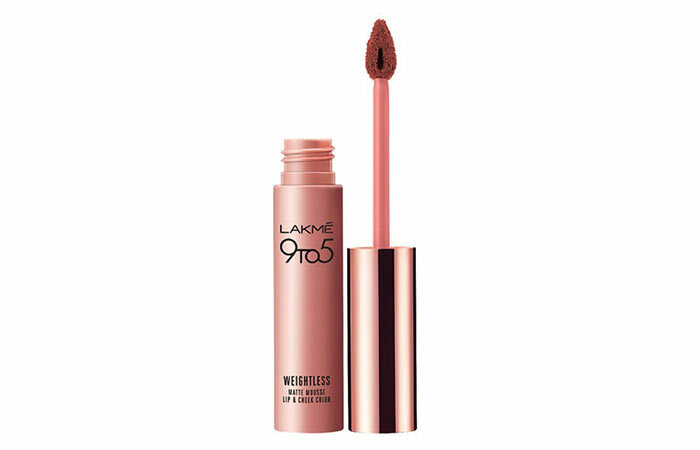 Our favorite drugstore brand Lakmé has made it to the list with its Weightless Soft Mousse range of lipsticks. ‘Burgundy Lush’ is a deep red with a tinge of brown, and it looks fabulous on Indian skin tones. Its moussey and lightweight formula is something else – it glides on easily and is extremely comfortable to wear. We also love how long-wearing this lipstick is! If you apply too many layers, it can look a tad bit cakey. 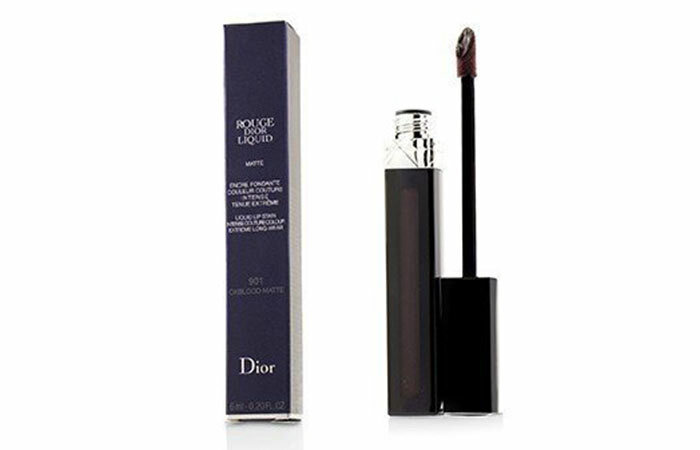 This liquid lipstick by Dior delivers intense, long-wearing color in about two swipes. Its packaging is exquisite with a reservoir applicator that picks up and deposits just the right amount of color with fine precision. The shade ‘Oxblood’ is a true burgundy with subtle purple undertones. It looks beautiful on almost every skin tone. The formula also helps rejuvenate your lips, and the matte finish is not too drying. 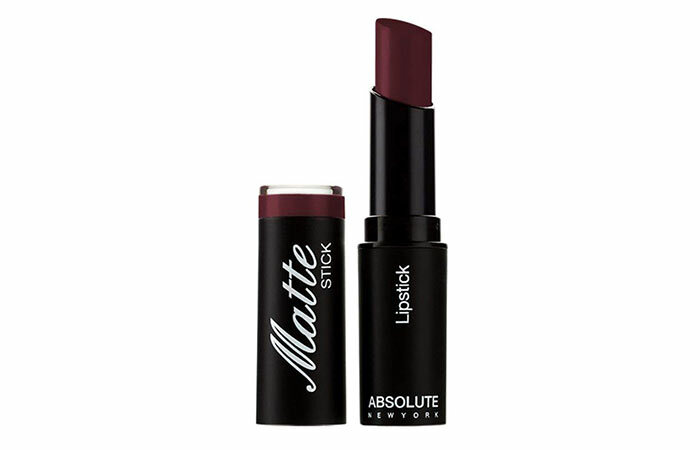 This creamy and comfortable matte lipstick by Absolute New York is a pleasure to wear. 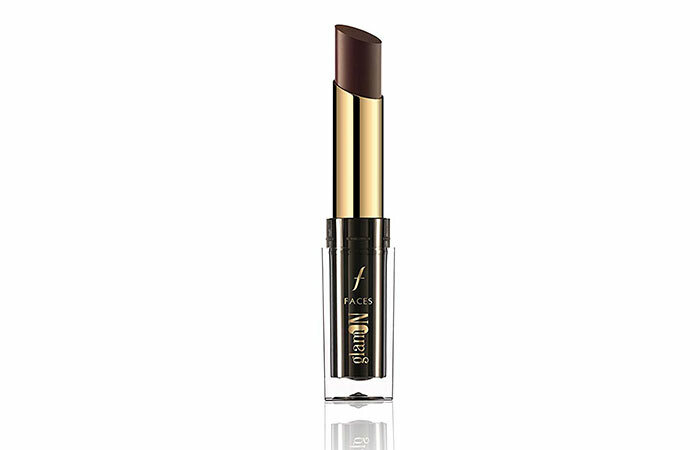 Its formula glides across the lips smoothly and lasts all day long for a perfect-looking pout. The shade ‘Dark Plum’ is a deep berry shade with purple undertones and is perfect for autumn. Want to channel your inner goth? Give this shade a shot! If you apply too much, it tends to dry your lips out. When it comes to wearing dark colors on your lips, exfoliating your lips is key. You are drawing attention to your lips, so you need to make them look flawless with the right application technique. Some days, all you need is a bold lipstick to complete your outfit and tell the story. 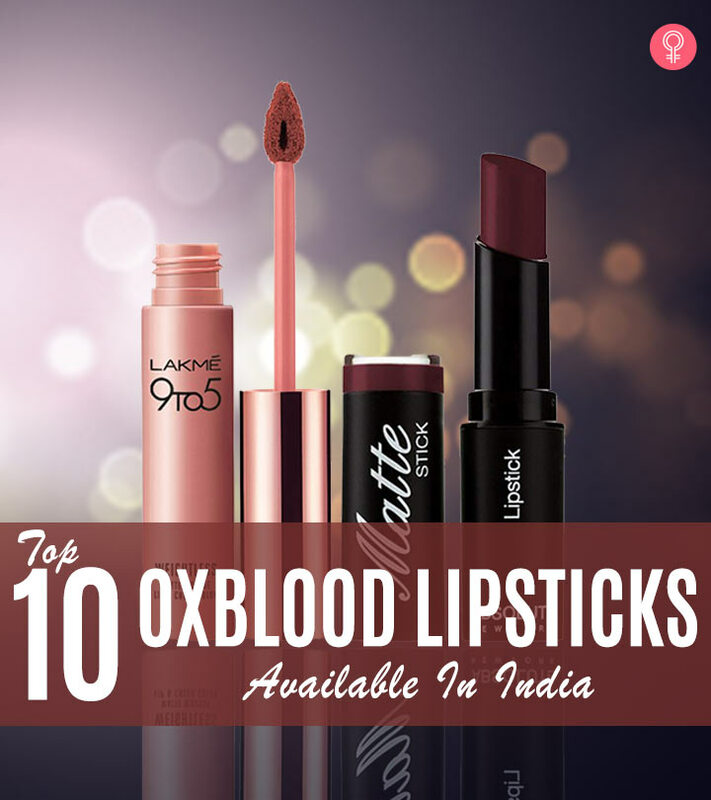 That was our round-up of the 12 best oxblood lipsticks available in India. Which one are you excited to try out? Let us know in the comments section below!